unique in the way they are fished. An extremely interesting and unique worm pattern with a lot of built in life. Very effective in small streams or creeks fished with a split shot or as part of a combo with a heavier fly such as stonefly nymph or Acetate Worm. This fly has very few steps, but is a little tricky to tie at first. 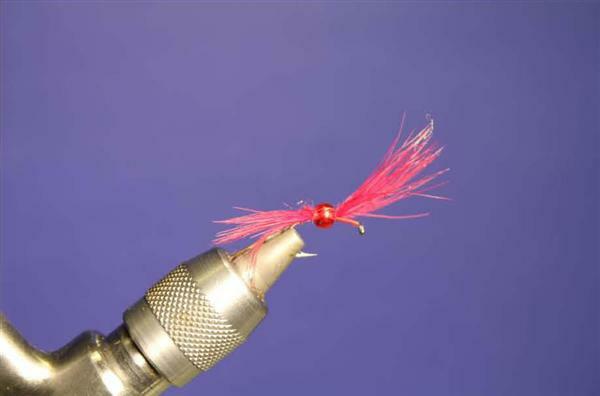 Put the red glass bead on first and then tie the marabou on either side next. The key to this pattern is the wine or red marabou as it undulates in the current like a real earthworm. Put a bit of head cement or other glue at the end of the marabou to create a tip. Great streamer pattern in medium to large western trout streams, especially when weight is needed. Best fished in black, purple, and olive to imitate leeches. White is great for mimicking minnows or small fish. The cone and the .025 lead ensure this pattern sinks deep very quickly even in fast moving pools. The collar constructed of antron body fur is a great material for making this streamer visible in moving water. When using marabou for the tail in my streamers I only use woolly bugger style marabou from Wapsi or Hareline as it is much webbier and fluffier than standard blood quill marabou creating a more “juicy” or life- like fly. Extremely simple and effective fly for imitating a small midge cluster. Midges can be extremely tiny even down to size 28 which gives the fly angler very little chance of hooking and landing a large trout. Luckily during large midge hatches these insects will jumble up in to clusters of 2, 3 and even as many as 10. I tend to fish this fly in sizes 10 to 16 depending on the size of the clusters I see or the size of the hatch in general. The Arizona Dot is meant to be fished floating high or in the film. When I finish tying this fly I tend to take about half of them and trim the hackle at the bottom to help it sit in the film. I generally use high quality saddle hackle such as Whiting even though they are scarce, but necks can also be used. 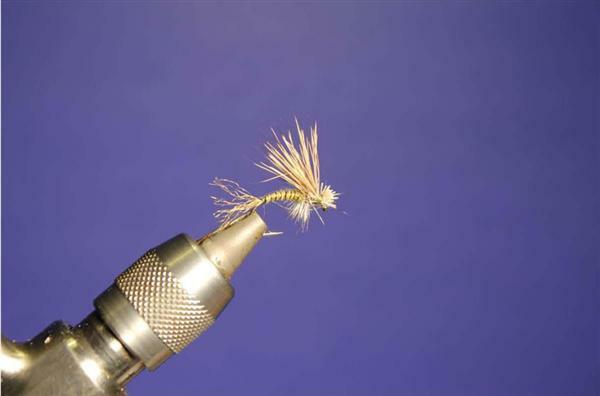 A skilled or well practiced tier can tie as many as 30-35 an hour because you are just wrapping hackle and making a small dubbed dot in the middle. When fishing in the current or riffly water it is important to have a pattern that floats high and is easily seen. This easier- to-tie version of the Royal Coachman does this as well or better than the original. 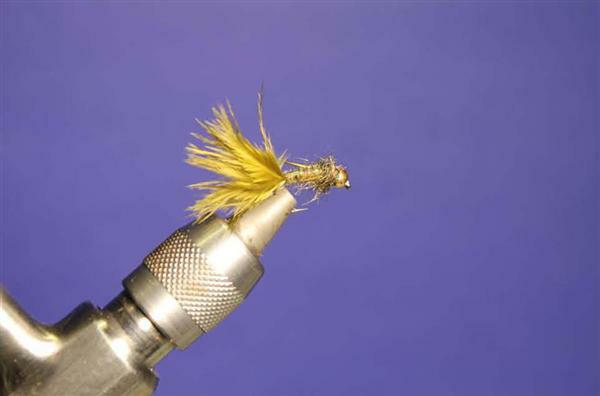 It is an attractor style pattern that generally suggests or mimics a larger mayfly or caddis. One of the biggest challenges of tying the Royal Coachman is making even wings using calf tail or body hair. Why endure this hassle when you can make life alot easier by making the wing out of antron yarn. Used as a damsel and dragonfly specialist in lakes and beaverdams. Works well stripped in or left still under an indicator. Tied in much the same way as the standard Evil Weevil, but with a large pulsing olive marabou tail and also in a larger size. Like with bugger patterns using wooley bugger marabou helps this fly create life. A great searching parachute dry that is easy to see. This pattern is very effective when mayfly and caddis are hatching and you are not certain on the type. This fly is tied in much the same way as the Evil Weevil just without a gold bead and with grizzly saddle or neck hackle. I also tie this dry fly version with a light wire scud hook to help make it lighter to aid in buoyancy. I use a strip of white craft foam for the post to make this great parachute easier to see. Try using it on flat or slightly choppy water. A beautiful and very lifelike streamer pattern that looks just as great to big trout as it does in your flybox or wall display. This very colourful fly is very visible in murky water conditions and entices many follows and strikes. 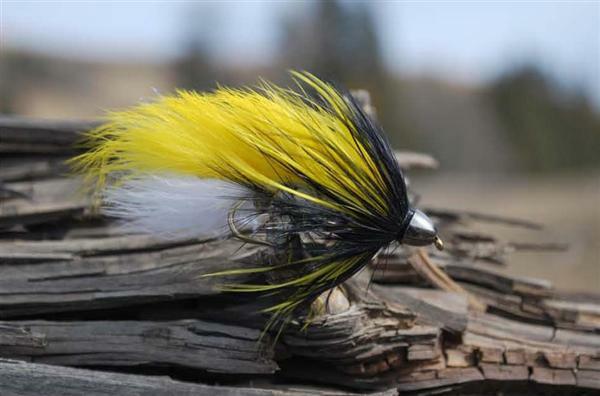 This fly is actually a cross between a Woolly Bugger and a Zonker tied in the official colors of Fly Fusion Magazine. The tail is made of white woolly bugger marabou that can be accompanied with or without flash. The body is made of white chenille with black hackle through it like a typical bugger pattern. 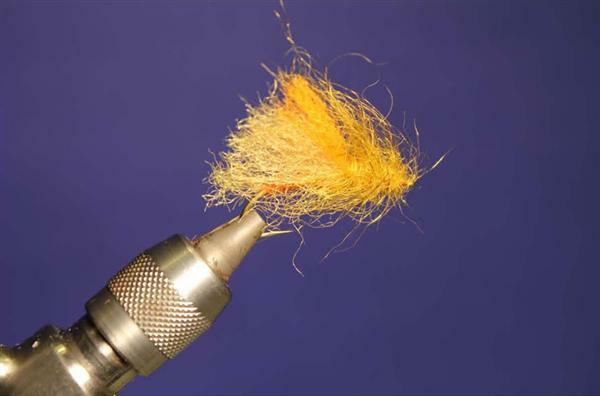 There is a yellow rabbit strip tied over top like a Zonker with yellow and black soft hackle tied behind the cone. This fly is so pretty you may not want to fish it. A very effective imitation for the fall emerging extra large Caddis nymph. Looks very lifelike and is best fished deep near the bottom from late August to October in great western rivers like the Bow River in the Calgary area. This fly can also be used as a golden stonefly imitation. Since this fly needs to be fished fairly deep it is often a good idea to cover half the hook shank with lead and/or a tungsten bead. The key to this fly is to create a sleek tapered segmented body with a bushy, well picked out thorax. 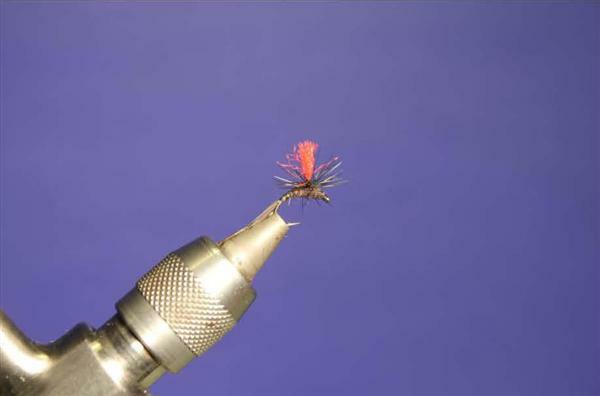 This emerging style attractor is more than just a dry fly; it can also double as a streamer. Trout find an insect that is drowning in the surface film irresistible. Fish this fly with a light amount of floatant and grease the leader. If you are not getting violent rises try pulling it under by stripping it in. 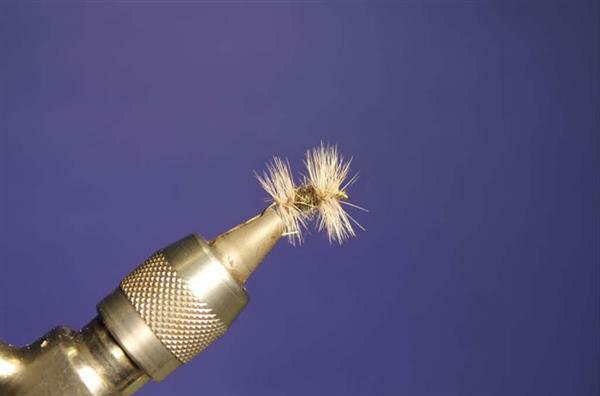 Unlike the regular Stimulator this fly does not require any hackle which is quite appealing as saddle hackle is very scarce at the present time. It is also easier to make a wing and tail out of antron yarn than elk or deer hair. The only part of this fly that might pose an issue for some tiers is the thorax that requires dubbing Simi-Seal Dubbing. The secret is to be gentle and loosely dub and pick it out to flare it out. 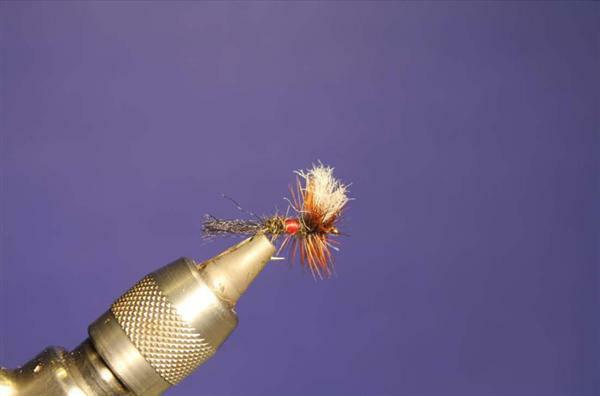 A versatile little fly that can be used to imitate both a caddis and a PMD mayfly. 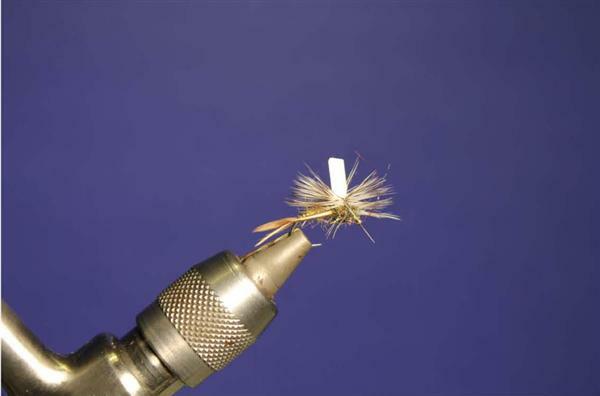 This is an absolutely deadly fly to use throughout the summer when mayflies and caddis are hatching everywhere. It floats high and dry. The elk hair wing mimics both the tent shape of a caddis and the silhouette of a mayfly wing. The light wire scud hook makes the fly light and the wide gap helps keep large trout hooked longer. 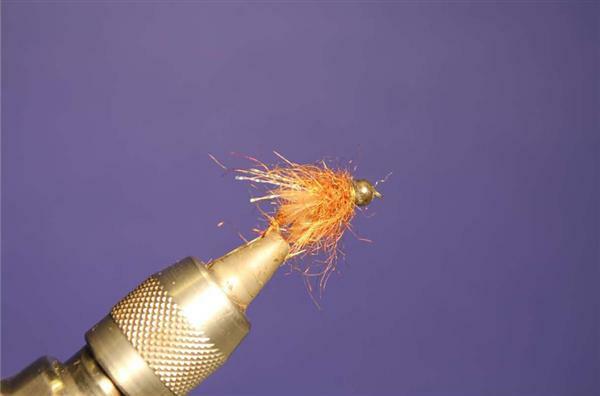 The antron yarn tail either represents a tail for a PMD or a trailing shuck from a caddis.